Ticking the Bucketlist » Kuala Lumpur: Veg Foodies’ Delight! 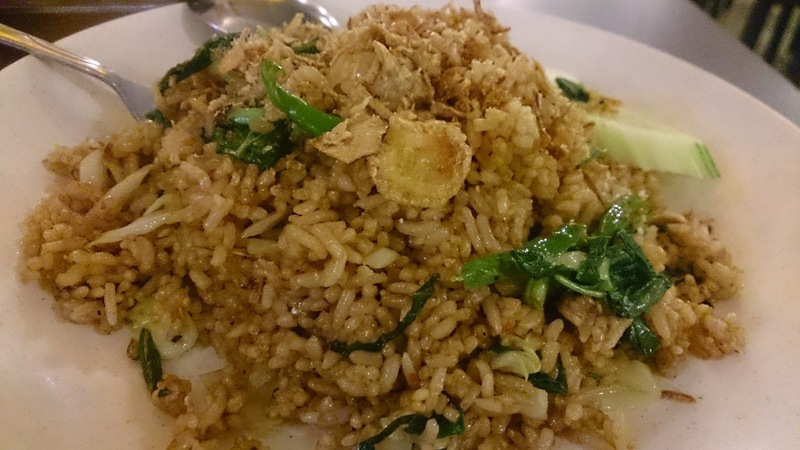 Kuala Lumpur: Veg Foodies’ Delight! We landed in KL at 6 am and my stomach with gurgling saying ‘Feed Me’. 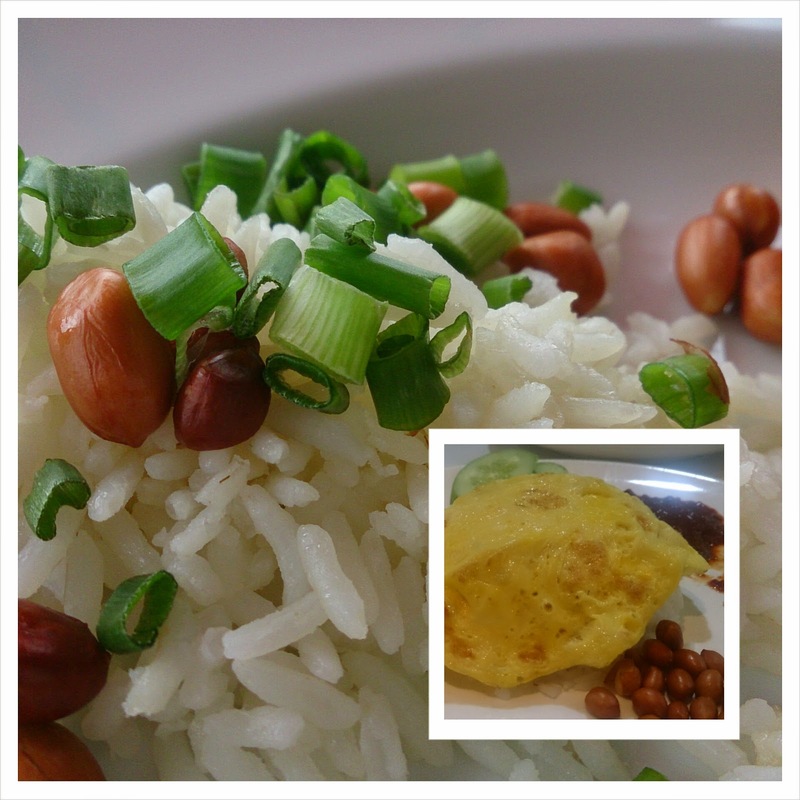 Nasi Lemak, a popular breakfast item, was the first Malaysian dish that I tried. The dish consists of a bowl of white rice cooked in coconut milk, served with chilly sambar, peanuts, spring onions,megg and some fried anchovies. I wanted the vegetarian version of the dish, with a fried egg. But apparently the server assumed that fried fish is vegetarian and gave a me a helping of the fried fish as well. hmmm…the fish made their way into a tissue, which further made its way to the waste. I devoured the dish, sans the piscean buddies! Low on spices and easy on the stomach, this was the perfect dish to introduce us to the Malaysian cuisine. We had heard so much about the ‘roti canai’ – flaky bread with curry (vegetarian/non-vegetarian). We went around asking people which would be the best place to eat it. To our surprise, no one seemed to even know what ‘roti canai’ was! Only after a couple of failed attempts did we figure out that it is pronounced as ‘roti chhanai’ . We were further enlightened with the fact that the dish has its roots in India and is very popular in the Muslim-Indian restaurants in KL. Surprise surprise…we haven’t seen it in Mumbai in the last ten years that we have been here! The roti canai was lip-smacking good. Making the bread is an art! With the amount of butter that went into the bread, it was best that I don on short term amnesia hat and forget about healthy eating! Served with potato curry and daal, the best roti canai that we had was at Taste Enclave at Avenue K Mall (opposite KLCC). The name is both, self implicit and deceptive, The tissue prata is as thin as a tissue, but the exact opposite of soft. If you love the sound of crackle, it is the thing for you! 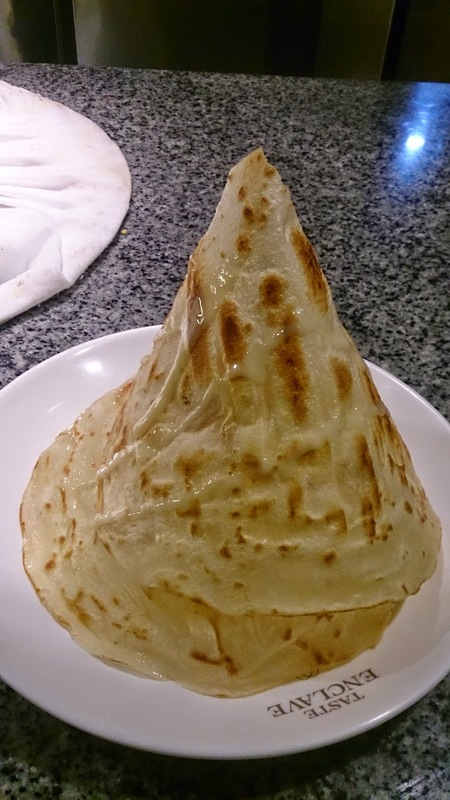 The chef who made this for us called it the ‘rocket prata’, and the picture below tells you why. Well, the prata looked ready for take off and that was reason enough for us to allow it to land in our plate! Drizzled with condensed milk, the tissue prata will sure satiate your dessert craving. We had never eaten anything like this….yum yum yum. It is a must try for any one who has a sweet tooth! A croissant and black tea make a perfect snack for me any time. Make it two croissant and some block tea, and it is a happy meal for me! In KL, I merrily substituted the croissant with the tissue prata. I still needed my tea though… and KL had plenty of it. 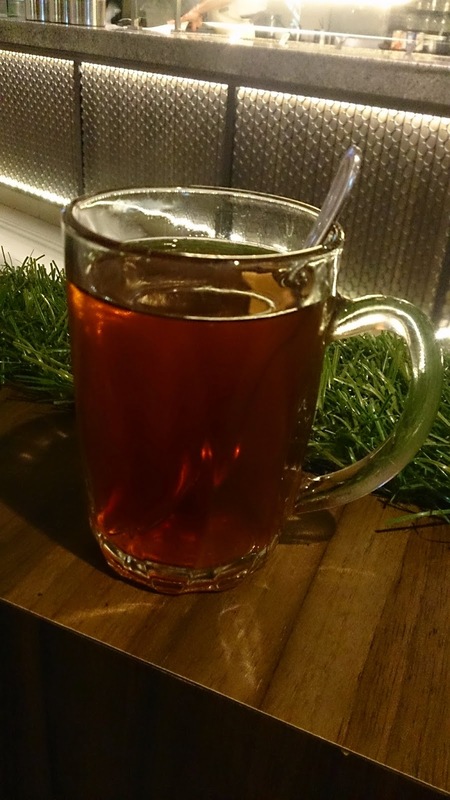 Sweet black tea, called Teh-O was the ideal way to end a delightful Malaysian meal. To start the day, I preferred having the Teh Tarik – black tea with condensed milk… a girl needs energy to last through the day! Malaysian love their kopi (coffee) as well – with milk or without milk, the caffeine will surely get you going! Do your taste buds remember any Malaysians delights? Let us know… We will ensure we try them out on our next visit to KL! Each time I've passed through Kuala Lumpur I have stopped at Be Lohas in the Airport (KLIA2) They have a Vegan version of Nasi Lemak as well as many other Malay dishes. Ooopppsssiee for the sambal! 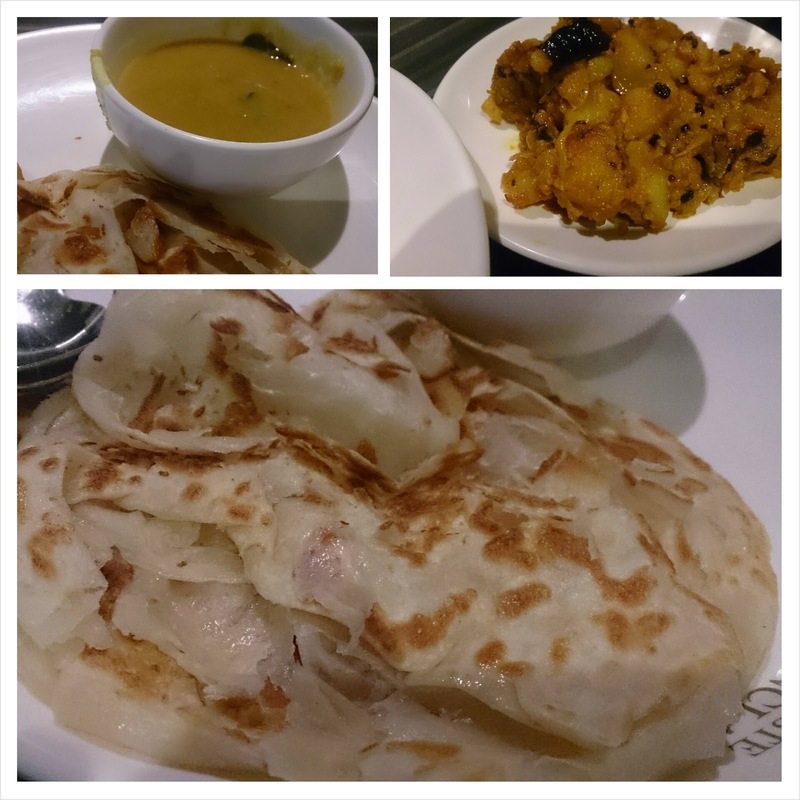 Yep, the roti canai is just like the parota… and the potatoes were made just the way they are for a masala dosa!